The tradition of bringing one of the season’s Glyndebourne Festival Opera productions to the Proms continued this year with their version of Mozart’s often overlooked opera La Clemenza di Tito. Although I didn’t see the fully staged version at Glyndebourne, I did see the live webcast of the performance, and my feelings about the much-reduced staging in the Albert Hall is influenced by that. Following their ‘posh frocks and picnics’ summer opera Festival, Glyndebourne hit the road during the autumn taking a reduced Touring Opera programme to places like Milton Keynes, Canterbury, Norwich, Woking, and Plymouth in November and December. They start the tour with around six performances at Glyndebourne itself, with a more relaxed dress code than the Festival and without the 90 minute dinner interval. 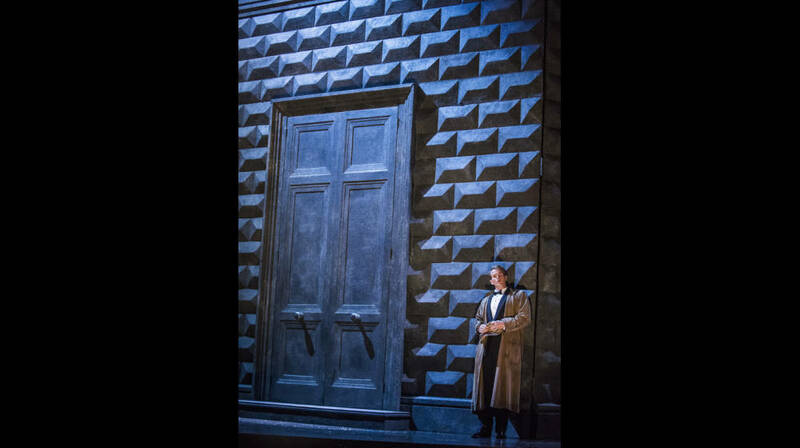 With a slightly less elevated cast accompanied by the ‘Glyndebourne Tour Orchestra’ (rather than the Festival’s usual team of the Orchestra of the Age of Enlightenment and London Philharmonic Orchestra), the sets and production are otherwise essentially the same as in the Festival. This year they are touring a revival of Jonathan Kent’s 2010 Festival production of Don Giovanni (with Revival Director Lloyd Wood) and a new production of Madame Butterfly. Mozart: Symphony No 39, ‘Ah, lo previdi’; Mendelssohn: ‘Italian’ Symphony; ‘Infelice’. Making their Proms début, the French period instrument orchestra, Le Cercle de l’Harmonie, their conductor and founder, Jérémie Rhorer, and the Italian soprano, Rosa Feola, presented a fascinating programme comparing music by Mozart and Mendelssohn. Perhaps because of what might have been seen as a fairly safe programme, this relatively unknown orchestra managed to achieve a full house of some 5000 people – quite an achievement. Regular Proms goers should have got used to period instrument orchestras in the vast expanse of the Royal Albert Hall, but newcomers expecting a wall of sound would probably have been surprised by the delicacy of the sound. Billed as a ‘completion’ of Mozart’s unfinished opera, L’oca del Caïro, Stephen Oliver’s approach to the task of making Mozart’s remnants performable is more of a complete re-working of the original. The resulting two-act, 90 minute opera is half Mozart, half Oliver. It blends and merges the two distinct musical style in a compelling manner. Composed for, and first performed (fully staged) at the Musica bel Chiostro festival in Batignano in 1991 (a year before Stephen Oliver’s untimely death), this concert performance was its British premiere, and its first performance in a new English translation. Haydn: Symphony No.83 (La Poule); Mozart: Concerto in C for flute & harp, K.299; Joseph de Bologne, Chevalier de Saint-George: Overture, L’amant anonyme; Beethoven: Symphony No.2. The Orchestra of the Age of Enlightenment’s Department for Thinking up Silly Concert Titles had a field day with this one, coming up with ‘Compulsive Lyres and Fowl Play’. Under the benevolent direction of Sir Roger Norrington, the OAE’s programme was centred on the fascinating character Joseph de Bologne, Chevalier de Saint-George (b1745), the son of a wealthy French plantation owner in Guadeloupe, and his African slave. Educated back in France from the age of 7, he first became known as a fencer, graduating from the Academy of fencing and horsemanship aged 21 and somehow collecting the title of chevalier (knight) on the way. Quite how he achieved his skills in music is not known, but the composers Lolli and Gossec had already dedicated works to him before he was 21. He quickly became one of the leading Parisian violinists and orchestra leaders. He briefly lived in the same house as Mozart (the mansion of his mentor, the Duke of Orléans in Paris), and was leader of the enormous Masonic Loge Olympique orchestra, for which Haydn wrote his Paris Symphonies. JC Bach: Symphony No. 6; CPE Bach: Sinfonia in D; JS Bach Brandenburg Concertos 1 & 3; Mozart: Piano Concerto No. 1, Adagio and Fugue. It is still a bit of a shock to be reminded that when Mozart commented that ‘Bach is the father, we are the children’ he was not referring to JS Bach, but to his second son CPE Bach. But is was through JS Bach’s youngest son, Johann Christian, that Mozart first became aware of the Bach family when just eight years old. Earning the nickname of the ‘London Bach’ (not the ‘English Bach’ as the programme note suggests), JC Bach had made his name as an opera composer in London. The 1764 meeting in London with the child Mozart led to a life-long friendship. The Aurora Orchestra (playing modern instruments) featured all three Bachs in a programme that launched their five-year long series of concerts featuring all 27 of Mozart’s piano concertos. 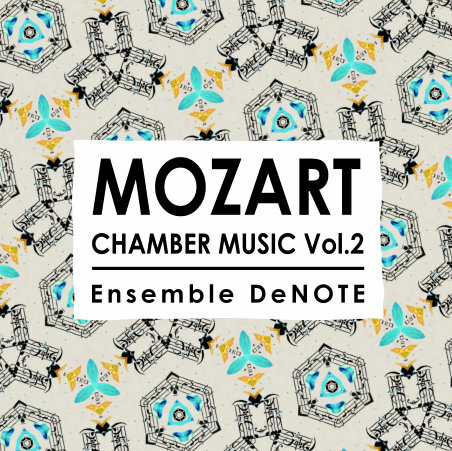 A CD launch concert in Handel’s own parish church of St George, Hanover Square featured the programme from the CD ‘Mozart: Stolen Beauties’. 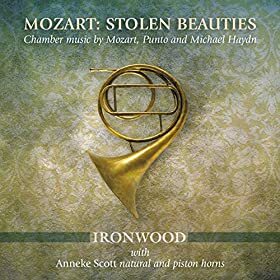 Ironwood is an Australian period instrument ensemble formed in 2006. They were joined by the distinguished horn player Anneke Scott, here playing both natural (or ‘hand’) and piston horn. 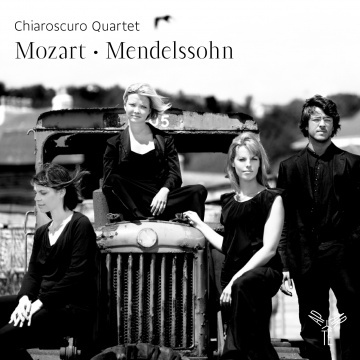 I first heard the Chiaroscuro Quartet (Alina Ibragimova, Pablo Hernan Benedi, Emilie Hornlund and Claire Thirion) when they were London students, and their talent was obvious from the start. Alongside Alina Ibragimova’s impressive (and well-deserved) solo career, the quartet are now making their mark in the world of period instrument quartets, with three CDs to date, all combining Mozart with a later composer. After comparing Mozart with Schubert and Beethoven, they now turn to Mendelssohn, drawing connections between the 18 year olds’ Quartet No 2 and Mozart’s D minor Quartet (K421), written when he was a comparatively mature 27. These talented young musicians, playing on gut strings with no vibrato to disturb the musical line, demonstrate inspiring musical minds and exceptional techniques, which they dedicate to the service of the music rather than self-aggrandisement. In what is a rather intense programme, there are several magical moments, not least in the interpretation of the dark transition passage at the beginning of the second section of the first Mozart movement. In contrast, their almost flighty playing of the Mozart trio is a delight, and a bit of relief in what is otherwise a pretty complex work. Their tonal unity in demonstrated in the several passages where the melodic line passes from one instrument to the other – imperceptibly in their case. The Mendelssohn is an emotionally powerful work, opening with what seems to be an innocuous song-without-words but quickly developing a much darker and more complex hue. The slow movement opens with a similarly song-like theme before the viola leads into a plaintively chromatic fugue and a turbulent central section. Ever the tune-smith, Mendelssohn opens the Intermezzo with another song-without-words, before dissolves into a fairy dance. One of the many strengths of the Chiaroscuro Quartet is their ability to play quietly, drawing the listener into their musical world. There are several examples in these two quartets, notably in transition passages. This is playing and musical interpretation of the highest degree. My own quibble is with the complex programme notes, by Tom Service. Rather than looking for links between the two pieces on the CD, his essay concentrates on rather convoluted links to Beethoven. The language become fanciful to a degree – do we really need to be told that our hearts will be in our mouths at the audacity of Mozart’s plunge into a discombobulating E flat major? Rather surprisingly, given Glyndebourne’s devotion to Mozart, La Finta Giardiniera was the first time they have staged any of his early operas (6 July 2014). Although obviously not on a par with the da Ponte operas, these earlier works are fascinating. Had he died aged 20, I reckon Mozart would still rate pretty highly in musical history. That said, La Finta Giardiniera is not amongst the Mozart greats, and needs careful handling. Covent Garden didn’t altogether succeed in their troubled 2006 attempt although, more recently, the Academy of Music gave a commendable concert performance at The Barbican. The plot is the usual nonsense. Nardo (who is really Roberto disguised as a gardener) loves Serpetta who loves Don Anchise who loves Sandrina (who is really the Marchioness Violante, and is also disguised as the ‘secret gardener’ of the title) who loves Count Belfiore (who previously stabbed her and left her for dead) who loves Arminda who used to love Ramiro but jilted him and would be very surprised if he happened to turn up unexpectedly. Musically, the 19-year old Mozart is starting to challenge the supremacy of opera buffa by introducing elements of opera seria, treating this buffa plot with seria intensity. The opening is pure buffa, with the characters appearing to be happy bunnies until you hear the words of the individual solos and asides. 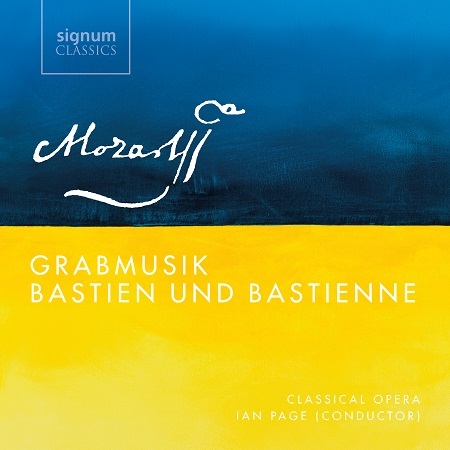 Another feature of this work is Mozart’s early development of his complex Act finales, one magnificent example coming at the end of the first act. Director Frederic Wake-Walker set the goings-on in a Germanic Rococco-style room, the fabric of which deconstructed as the evening progresses, as did some of the characters. Christiane Karg’s Sandrina was the vocal highlight from a very strong young cast, her pure tone contrasting with the rather silly portrayals of Belfiore (Joel Prieto) as a wimp and Ramiro (Rachel Frenkel) as a Goth. Robin Ticciati (Glyndebourne’s music director) directed the ever-excellent Orchestra of the Age of Enlightenment with a fine sense of pace. But, even with cuts, it was a rather long three hours. The Orchestra of the Age of Enlightenment brought their programme of music for winds to Basingstoke’s Anvil, the day after their performance at the Queen Elizabeth Hall (6 Feb). Under the banner of the OAE’s ‘Flying the Flag’ series, they focussed on central Europe and Bohemia, with Mozart and his little-known friend Josef Mysliveček, as well as the later Bohemian composer Josef Triebensee, who arranged movements of Don Giovanni for the Prince of Lichenstein’s harmonie wind band around 1790. The evening opened with Mozart’s monumental so-called ‘Gran Partita’ (Serenade No 10 for 13 wind instruments); nearly an hour of music of the most extraordinary intensity, and given an exceptional performance by the OAE players. I particularly liked the way that they slightly extended some key rests, adding to the air of suspense. Josef Mysliveček met the young Mozart in Bologna, and was an early influence despite their later falling out. The composer of some 29 operas and 55 Symphonies, the jolly little Wind Octet No.2 in E flat (discovered not so long ago in a pile of manuscripts in the Black Forest) was probably not the finest work to display his talents, but the OAE (in the more traditional wind band grouping of 8 players) bought out his humour of his writing, not least in one little passage where a oboe scale was finished off, after a slight pause, by the second oboe. The choice of Triebensee’s arrangement of Don Giovanni was apt, as the opera itself includes an on-stage wind band playing an arrangement of Mozart’s own Figaro – Mozart’s dig at the bourgeoisie habit of background music. A fine oboist himself, Triebensee played the tricky second oboe part in the first performance of The Magic Flute, and makes much of the oboe in his arrangements, generally of soprano arias. Although lacking a vocal line, his arrangements are clever reinterpretations of Mozart’s originals, and formed a light-hearted end to what had possible been a rather heavy evening for Basingstoke’s concert goers.